This is one of my favorite bike rides. 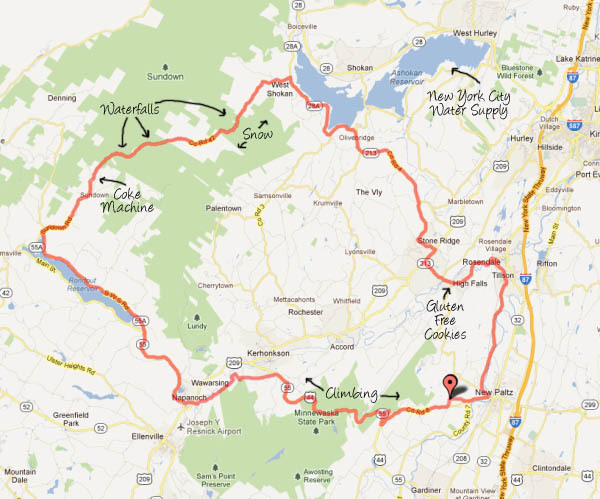 It starts in New Paltz, goes up to Minnewaska State Park, down to the Roundout Valley, then back up into the Catskills. Once in the Catskills, you climb through the mountains on a road called Peekamoose that today had zero cars on it (just one lone motorcycle). Along the way there are several big waterfalls and swimming holes (which will come into play later this summer) and lots of Irene aftermath. There's one place to stop refuel in the first 3+ hours of this bike ride. 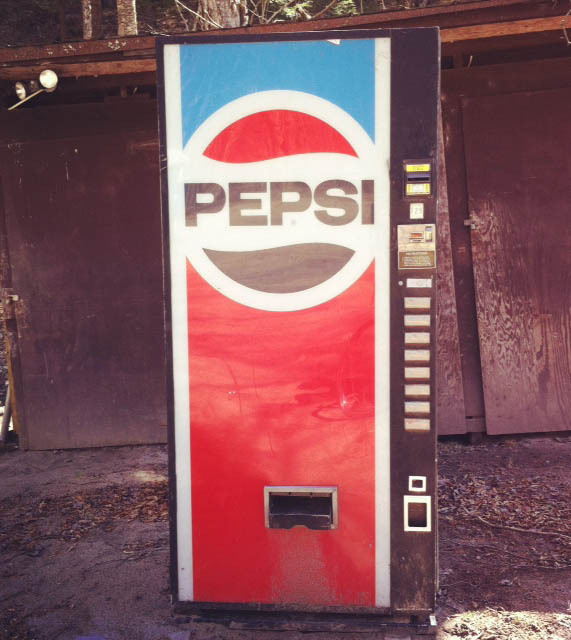 It's a side-of-the-road coke machine that may or may not take dollar bills. Before we left, I loaded up on quarters, but unfortunately, when we arrived at the coke (pepsi) machine, it had been moved and was unplugged. Although we were disappointed that we didn't get to see if the coke machine was stocked, we didn't really need drinks at that point anyway. And I had to ride the rest of the way with those "heavy" quarters in my pocket.